The thrilling conclusion to the story of Victorian London's most notorious villain-turned-antihero! It's the end...and the beginning. As the tangled threads of fate tighten around Victor and Mary, Tesla and Lord Weiss, Jimmy and Irene, a new figure appears in the dark London streets. Or rather, a very old one. Who is the vampire Arsene Lupin, and how does his destiny intertwine with those of Holmes and Watson? Learn how this age-old tale of blood, death, and vengeance begane, even as the story winds to a close in the final volume of Jack the Ripper: Hell Blade! 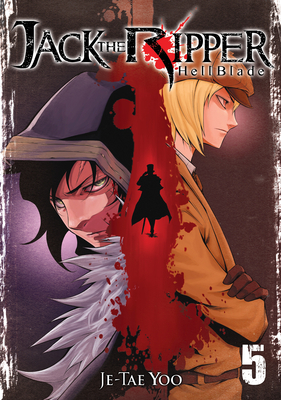 Jetae Yoo is a Korean artist who previously worked on The Breaker and is now the author and artist of Jack the Ripper: Hell Blade.